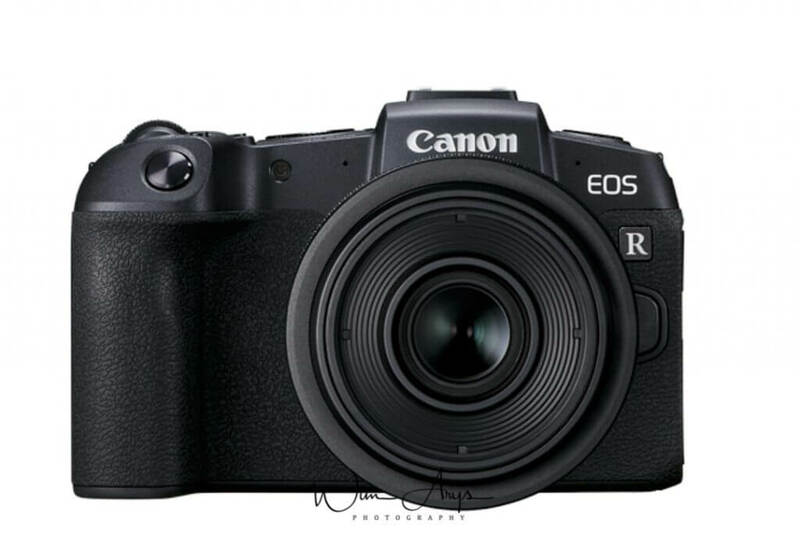 The Canon EOS RP features a 26.2 megapixel Full Frame CMOS sensor with the now standard DIGIC 8 image processor. This is already Canon’s second full frame mirrorless camera, but they’ve managed to produce a sensor with 4779 selectable AF positions which are sensitive to f/11. The electronic viewfinder also has a decent 2.36 million dots and the EOS RP features a vari-angle touchscreen on the back. When it comes to video, the Canon EOS RP is no slouch either, with 4K capabilities at 25fps and a time-lapse mode and Full HD at 60fps. If you’re new to digital photography or Canon mirrorless cameras, I’m sure this guide full of tips and trips will make you more familiar with the various settings, features and functionalities of the Canon R. Now it’s time to turn your camera on and press the Menu button. You’ll be able to follow along page by page with this guide. Please note that in order to see all the pages, set the camera’s mode to Av, Tv or M as some other modes provide only a small subset of available menu options. Also, if you want to see this more soothing black camera interface instead of the bright white, change the colour of the Menu in: Disp Level settings – Menu Display – Standard. Image quality: you primarily need to decide whether to shoot RAW or JPEG. Raw records all the data from the sensor, Jpeg is basically a much smaller file that has all kinds of information already baked in. Most serious photographers shoot RAW, as this gives you the most flexible file to work with in an application like Adobe Lightroom. You’ll be able to recover more colour in the highlights of your image for instance, and pull more detail out of the shadows with a Raw file than with a Jpeg. The only downside are the larger files and the fact that of course you’ll need to develop them later on. RAW file average size of 20.8 MB an JPEG file average size of 10 MB with the EOS RP. You’ll see that the is also a cRAW option, this is a format that uses lossy compression to reduce file sizes by roughly 40%. This is absolutely fine to use, the deterioration is negligible. If you decide to shoot Jpeg, you can choose between Large, Medium or Small, each with a Fine or Normal setting. Check the table above for the relative pixel sizes for each setting. I would advise Large and Fine of course. Still img aspect ratio: this describes how square (1:1) or wide (16:9) your image is. It’s expressed as a figure, like this: width:height (width always comes first). The aspect ratio of a Full Frame sensor is 3:2, and you should use this if you want to use the full surface of the sensor. Cropping can also be done later. 3:2: the native sensor dimension of the full frame mirrorless Canon EOS RP. 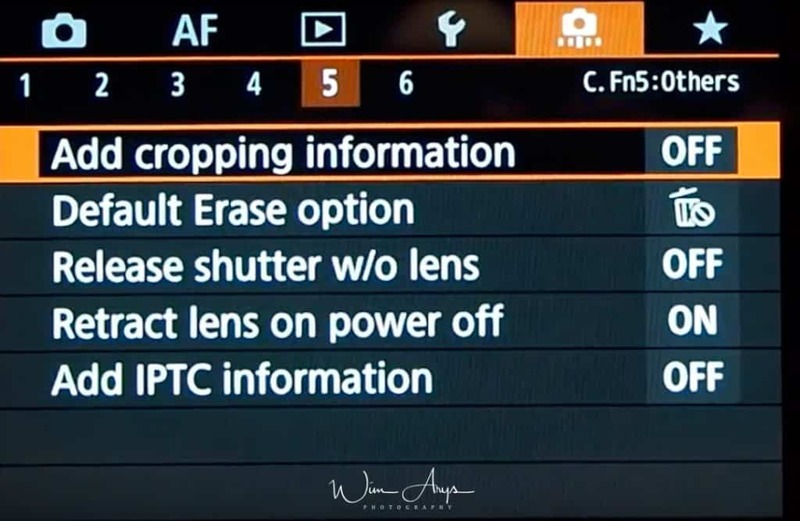 1.6x: this is wat is called crop mode, and is used when you use EF-S lenses from the APS-C cameras. 4:3: native resolution of a micro-four-thirds camera . 16:9: for a wider perspective. 1:1: a basic square setting. Image review: You can modify the amount of time the image displays on the LCD monitor after your EOS RP writes it to the memory card. You can set the preview time from 2 to 8 seconds or display the image until you turn off the camera. Or you can turn it OFF if you don’t want this. I turn it off as I can always press the play button if I decide to review a shot I’ve just taken.. If this is set to ON, you want be able to use the shutter button if there is no SD card inserted in the camera. This is a security feature, so that you won’t start shooting images without actually recording them on an SD card. On the other hand, if you’re just testing the features of the camera, you probably won’t wan’t to store these files, and then you can leave it ON. Lens aberration correction: digital technology provides the ability to adjust images in-camera. One area this can be useful is in correcting for optical performance. By mapping the performance of each camera and lens at a variety of focal lengths, focus distances and apertures, it is possible to correct for these irregularities and bring the lens performance closer to ‘perfection’. These corrections are only available for photos captured in the JPEG file format. There is no reason to turn this off, except if you’re noticing a slow down when shooting in burst mode, then this might be the reason. Peripheral illumination correction: This is called lens light fall-off or drop in the corners or vignetting. Distortion correction: If you’re shooting with a wide-angle lens you may have noticed that at the wide end you will most likely find some distortion. This corrects distortion for any lens in the lens database. Chromatic aberr corr: Automatically remove color fringing due to Chromatic aberration. Diffraction correction: a camera and lens specific correction that uses a profile of the lens used to ameliorate the effects of diffraction caused by small apertures (usually f/11 and beyond where there will be decrease in sharpness). All options “OFF” (though Chromatic Aberration correction is a good option to leave enabled for most). External speedlite control: Using this menu item, you can adjust flash power. The Flash Control option also enables you to customizeas well as control an external flash head. Flash firing: Normally, this option is set to Enable. If you want to disable the flash, you can choose Disable instead. However, you don’t have to take this step in most cases. (just close the pop-up flash head on top of the camera if you don’t want to use flash). E-TTL II meter: This option enables you to switch from the default flash metering approach, called Evaluative. In this mode, the camera exposes the background using ambient light when possible and then sets the flash power to serve as fill light on the subject. If you instead select the Average option, the flash is used as the primary light source, meaning that the flash power is set to expose the entire scene without relying on ambient light. Typically, this results in a more powerful (and possibly harsh) flash lighting and dark backgrounds. Slow synchro: Slow Sync Flash is a function found on many cameras that tells your camera to shoot with both a longer shutter speed as well as firing the flash. This means you get the best of both worlds above and can both get a relatively sharp shot of your main subject as well as get some ambient light from the background and foreground. Safety FE: The camera automatically changes the shutter speed or aperture value when the flash fires to avoid overexposing and blowing out the highlights in the scene. Flash func. Setting and External flash C.Fn setting: these last 2 options on the Flash Control list relate to how to control external flashes from the EOS RP itself. This depends very much on what flash you’re using, and you should consult the flash manual in order to set this up. Expo.comp./AEB: Exposure Compensation and Auto Exposure Bracketing. Exposure compensation: If you believe that your camera is over- or underexposing your images, or you want to do this for creative reasons, you can change the level of exposure by a scale of plus or minus 3 EV. Auto Exposure Bracketing. : Using the exposure compensation setting, you can capture images at different exposure levels, and then select the optimal image later with a +/- 5 EV scale. These two functions can the be used in combination. ISO speed: can either be set to Automatic or determine an appropriate value for yourself. Say for landscapes when using a tripod this is generally set to what is called base ISO 100. ISO 100 would give you the optimal quality for this sensor, but for many other types of photography you’ll need a higher ISO in order to have a fast enough shutter speed and hence no movement in your images. Leave this on auto for most uses. ISO Auto: This is used to set the max for Auto, from 400 to the top value of 40000. When raising the ISO value, you are effectively raising the sensitivity of the sensor by boosting the output. This leads to more and more noise with every doubling of power. A Maximum of 12800 is as far as I would go with the Canon EOS RP. Auto-corrects image brightness and contrast. This only affects Jpeg and not your Raw files, but it can be handy for the Jpeg shooters out there. Have a go and see if you like the effect set to low or standard. Improves gradation in highlights to avoid over exposure in bright subjects. What the camera does in highlight tone priority is underexpose the image to avoid clipping highlights, then boost the shadows up to give the appearance of a wider dynamic range in the jpegs. It does the same thing you might do when processing raw files, except it just applies it to jpegs. Another great feature to experiment with. Either Off or enabled. When you half press the shutter (or use back button focus) in one of the creative zone modes and then release it, the camera’s meter takes a reading and sets the exposure values. These values time out and disappear after the amount of time set by this option. You have to half press again to take a new reading at that point. From 4, 8, 16, 30 sec too 1, 10, 30 min. When ‘Exp.SIM’ (which stands for Exposure Simulation) is on, indicates the image you are seeing on the rear screen and EVF is what the final image will look like. You can leave this on except when using flash in the studio as you’ll only see a dark frame in that case. Normally AWB (auto white balance) will do just fine but you also have the option to change this to AWB W (auto white balance with white priority This setting is amazing for indoor lighting), Daylight, Shade, Cloudy, Tungsten, White fluorescent, Flash, Custom and Colour Temperature adjustable. This setting brings up compatible images to use. Set the white balance under the same light source thatwill illuminate your shot. White balance shift is a setting on the EOS RP camera that allows a photographer to bias the colours in images in either blue, amber, magenta or green directions. This colour shift can be used to add or remove colour shifts that may occur when shooting in mixed lighting conditions. Typically think flash and daylight, flash and indoor lights, street lights and daylight and so on. White balance can be shifted from -9 to +9 in both blue / amber and green / magenta directions, or combinations of blue/amber and green/magenta shifts. The blue/amber shift is equal to five mired for each step. sRGB is what is used online, and Adobe RGB has a more extended colour profile that mimics the human eye. You might think that the latter is preferable, but unless you print a lot of photos with professional equipment, Adobe RGB is more hassle than its worth since you’ll need to proof every picture you want to use online and convert it to sRGB. Picture style allows you to take photos in the color tones that Canon deems most suitable to each subject . These include normal presets like Standard, Portrait and Landscape but also advanced scenarios like Monochrome, Fine Detail, Neutral and Faithful. All these picture styles can be individually adjusted to taste with adjustments like Sharpness, Fine detail, Threshold, Contrast, Saturation, Hue. 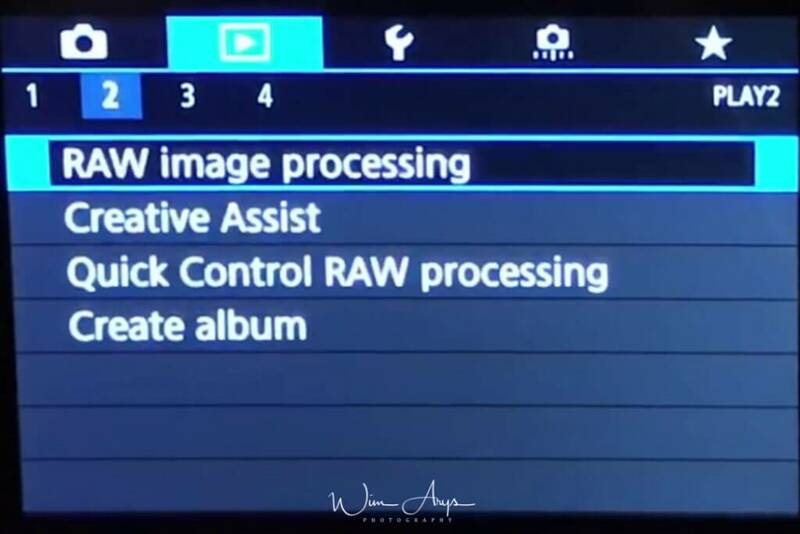 These adjustments can be saved in 3 user defined slots and even transferred to other EOS cameras. Auto, Standard, Portait, Landscape, Fine Detail, Neutral, Faithful, Monochrome, User Def. 1, 2 and 3]. Turn On noise reduction for exposures of 1 second or longer with the Canon EOS RP. This function takes a second black or dark frame (with the shutter closed) with the identical shutter time of your first photo. The noise in this frame is then subtracted from the original photo. This method is the most reliable type of noise reduction, as the noise is measured specifically at that place and time with the same level of humidity and temperature. All factors that can contribute to noisy images especially in long exposures. Some photographers however find it annoying to have to wait for this to finish as it doubles the time. You can turn it off and experiment with other types of noise reduction in Lightroom or any other photo editor if you shoot RAW. You can choose from 3 levels of noise reduction: Standard, High or Low. This function is especially effective when shooting at high ISO speeds. Multishot: This technique automatically combines four images captured at once to reduce noise. Compared to setting High ISO speed NR to [High], this feature minimises loss of image quality while reducing noise. Best technique for Jpeg shooters. Again, noise reduction is destructive to images details. I prefer to add noise reduction sparingly during post processing. This function allows you to download your shots to your computer using the canon software. The software will analyse the images and any dust spots that show up on multiple images will be registered. This database is then relayed back to the Canon R that will ignore the pixels with dust on. I don’t think this is necessary, as periodically wet cleaning yourself or by a professional should be part of your camera cleaning routine anyway. 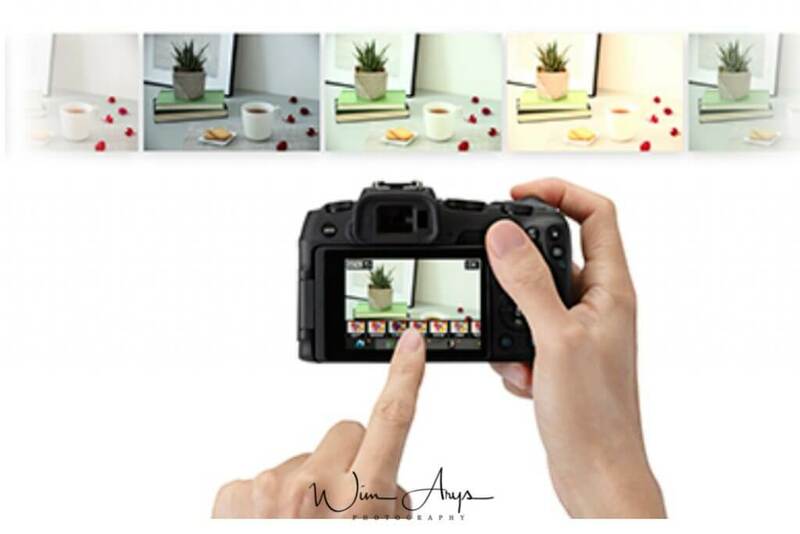 If the Touch Shutter function is set to On, you can take shots easily by having the camera focus on your subject and adjust the brightness simply by touching. I don’t use this function, but if you’re coming from a smartphone, you could find it very useful. As you shoot multiple exposures (2–9), you can select how the images will be merged into a single image. On: Func/Ctrl (Function and control priority) Convenient when shooting multiple exposures gradually as you check the results. During continuous shooting, the continuous shooting speed will decrease greatly. On: ContShtng (Continuous shooting priority) Used for continuous multiple exposures of moving subjects.Continuous shooting is possible without the following operations: menu viewing, image review after capture, image playback, and undo last image. Average: Based on the number of exposures setting, negative exposure compensation is set automatically as you shoot multiple exposures. If you shoot multiple exposures of the same scene, the exposure of the subject’s background will be automatically controlled to obtain the standard exposure. Bright/Dark: Brightness (or darkness) of the base image and added images is compared at the same position, and bright (or dark) portions are retained. Some overlapping colors may be mixed, depending on the relative brightness (or darkness) of the image. You can shoot still photos with clipped highlights and shadows reducedfor a high dynamic range of tones even in high-contrast scenes. HDR shooting is effective for landscape and still-life shots. With HDR shooting, three images of different exposures(standard exposure, underexposure, and overexposure) are captured consecutively for each shot and then merged together automatically. The HDR image is recorded as a JPEG image. You can select the dynamic range of the HDR images and an effect like Natural, Art standard, Vivid, Bold or Embossed. HDR images will always be saved as Jpeg! 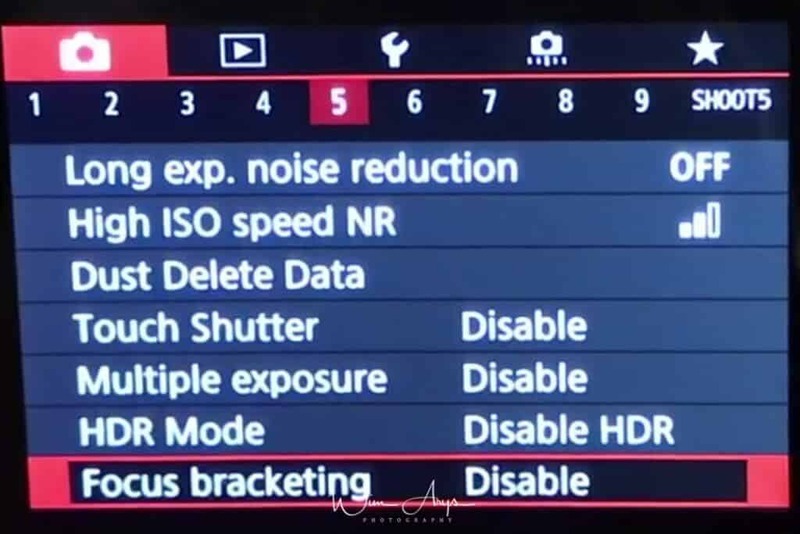 When enabled, the focus bracketing feature instructs the camera to take a series of pictures with the lens’ focus distance setting increasing between each image captured until the specified number of images are captured or until infinity focus is reached. The resulting set of images can then be focus stacked during post-processing with the result being an increased depth of field, potentially by a significant amount, while avoiding the softening effects of diffraction caused by very narrow apertures use. This technique is commonly used in macro photography as the depth of field is typically extremely shallow at very close focus distances. Landscape photographers frequently use this technique to keep entire scenes that include a close foreground subject in focus. 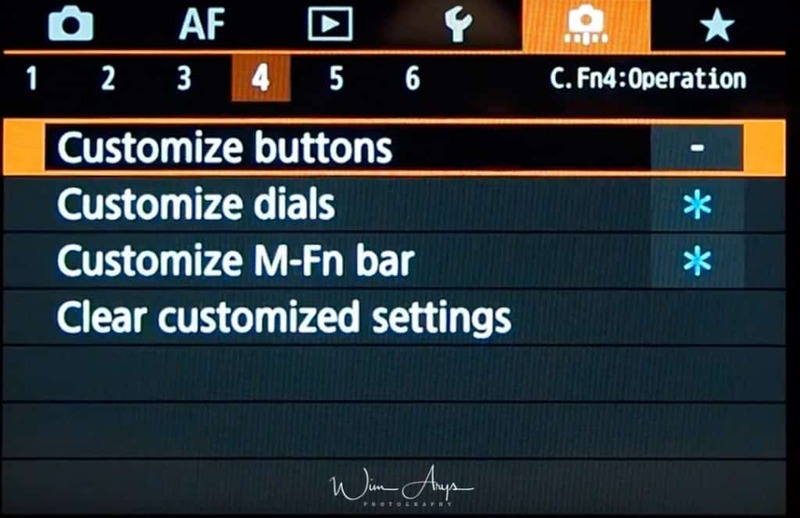 There are four settings used to control the focus bracketing feature. The number of shots instructs the camera to capture up to the specified number of images. I say “up to” because the camera stops taking photographs when infinity focus distance is reached and this may only require a small number of images regardless of the number of shots setting. Use this setting to limit the camera to a shorter focus distance range, or set the number very high to ensure that all distances including infinity are covered. Exposure smoothing is disabled by default, but when enabled, the camera keeps image brightness consistent through the image set. This feature is primarily useful for compensating for light transmission losses when lenses, especially macro models, are focused at very close distances. Optional is for the camera to create a new folder on the memory card before the bracketed sequence starts, making it easy to separate a potentially large number of images. Tapping the “Folder +” icon creates a new folder and subsequent images are saved there. For fully customisable time-lapse photos and movies. This is used for long exposures. Turn this, on, set the exposure timer to your desired setting and then shoot a Bulb exposure. If you want to end the exposure early, just tap the shutter. With anti-flicker shooting, the camera detects the frequency of the light source’s blinking and takes the picture when the flicker’s effect on the exposure or color is detectable. If you shoot an image with a fast shutter speed under a light source such as fluorescent light, the blinking of the light source causes flicker and the image may be vertically unevenly exposed. If continuous shooting is used under these conditions, uneven exposures or colors across the images may result. With anti-flicker shooting, the camera detects the frequency of the light source’s blinking and takes the picture when the flicker’s effect on the exposure or color is minimal. The Canon EOS RP must be set to high speed frame rate to enable this option. This setting lets the EVF update faster than the 5 FPS rate at which the EOS RP shoots in Continuous Hi mode. Doesn’t work with adapted lenses. Set to ON. The camera must be set to Servo AF and high speed continuous frame rate to enable this option. One Shot: for Still Subjects. When you press the shutter button halfway, the camera will focus only once. When focus is achieved, the dot inside the AF point achieving focus lights up briefly in red, and the focus confirmation light <> in the viewfinder will also light up. Servo: This AF operation is for moving subjects when the focusing distance keeps changing. While you hold down the shutter button halfway, the subject will be focused continuously. the Canon R searches for faces in the frame. If it finds one, it displays a white focus frame over the face. In a group shot where more than one face is recognized by the camera, you see arrows on either side of the focus frame. To choose a different face as the focusing target, tap the face or use the Multi-controller to move the target frame over the face. To lock focus on the face, press and hold the shutter button halfway down or press and hold the AF-ON button. When focus is locked, the focus frame turns green, as shown on the right above, and the camera emits a beep. (Disable the sound effect via the Beep option on Shooting Menu 1.) If focus isn’t successful, the focus frame turns red. 1 point AF: only one AF point is used for extremely precise autofocus. Expand AF area: Focusing uses one AF point and points above, below, and to the left and right. Effective for moving subjects, which are difficult to track with 1-point AF. Although Servo AF requires you to focus on a subject initially with an AF point, focusing is easier with this AF method than with Zone AF. Expand AF area: Around: Focusing uses one AF point and surrounding points. Enables focusing over a wider area than F point expansion. Effective for moving subjects, which are difficult to track with 1-point AF. Servo AF operation is the same as for AF point expansion. Zone AF: Uses auto selection AF in Zone AF frames to cover a larger area than AF point expansion, which makes focusing easier than with 1-point AF/AF point expansion and also effective for moving subjects. Generally focuses on the nearest subject. Note the camera attempts to focus on faces of any people in the Zone AF frame. Large Zone AF: Vertical: Uses auto selection AF in a vertical Large Zone AF frame to cover a larger area than Zone AF, which makes focusing easier than with 1-point AF/AFpoint expansion and also effective formoving subjects. Generally focuses on the nearest subject. Note the camera attempts to focus on faces of any people in the Zone AF frame. Large Zone AF: Horizontal: Uses auto selection AF in a horizontal Large Zone AF frame to cover a larger area than Zone AF, which makes focusing easier than with 1-point AF/AF point expansion and also effective for moving subjects. Generally focuses on the nearest subject. Note the camera attempts to focus on faces of any people in the Zone AF frame. This is an exciting new feature, introduced with the EOS M APS-C cameras. When its AF Method is set to Face Detect + Tracking, the entire active AF area (see the colored outlines in the graphics above) is used for focusing. And, if a human face is detected, the Face Detect technology has been enhanced — the camera doesn’t simply focus on the most prominent face in the scene. Instead, it now is able to detect the nearest eye on that face, and puts a smaller focus box on that eye. If that person moves around the picture area, the Eye Detection AF continues to track that eye, as long as it remains visible. When Eye Detection AF is active, you’ll see a large, outer box indicating that Face Detection has recognized a human face. And within it, a smaller box will surround the actual eye that is being concentrated upon for Eye Detection AF. This means that sharp focus will more than ever be placed on the “leading" eye of your subjects, whether you’re shooting portraits or candid pictures. Where many experienced photographers might have previously made the effort to change to a single AF point, and move it manually to cover the face of a human subject, the new Eye Detection AF technology means that the process can be left to the EOS RP in many cases. All that has to be done to activate Eye Detection AF is to Enable Eye Detection AF in the 3rd Shooting Menu screen, and be sure that Face Detect + Tracking is the active AF Method. It will function in most shooting modes. 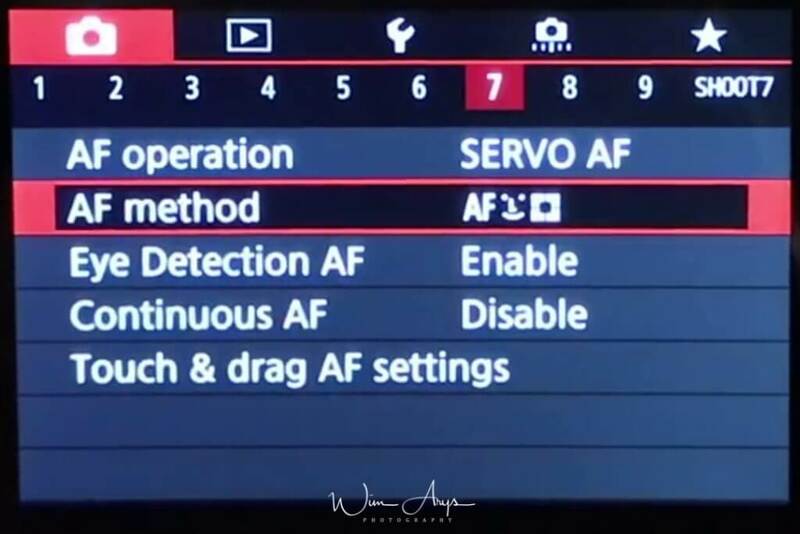 While Eye Detect AF will normally focus upon the eye nearest to the camera, if you want to concentrate on the subject’s other eye, that’s easy to do — just press the AF Point Select button, on the back of the camera, twice. You’ll see the smaller “box" surrounding the detected eye jump to the subject’s other eye. It will not function with Servo AF, so it’s unable to work with moving subjects (therefore, Eye Detection AF is not possible in Sports Mode or Panning Mode). It’s disabled if you’re using the Miniature effect or Fish-eye effect settings, within the Creative Filters modes. Eye Detection AF cannot be used when recording video (overall Face Detection is possible during video recording, including when continuous Movie Servo AF is active). The primary face in the scene needs to be sufficiently close to take up a certain amount of space in the picture — if a detected face is too distant or small in the frame, the EOS RP will revert to conventional Face Detection, and you won’t see the smaller “box" displayed over a subject’s eye before you take the picture. Eye Detect AF may have problems if the subject’s eyes are partially or fully closed. The primary face needs to be turned so it’s essentially facing toward the camera, and the eyes need to be somewhat in the camera’s direction as well. While direct eye contact with the camera isn’t required, if the subject’s eyes are angled significantly to one side or the other, the EOS RP’s Eye Detection AF may not be able to detect the eye nearest the camera (again, it will usually revert to ordinary Face Detection, or conventional Automatic AF point selection). If one or both of the subject’s eyes are in deep shadow, Eye Detection AF (and sometimes overall Face Detection AF) may have difficulty functioning. Sunglasses, excessive make-up around the eyes, masks, and so on will usually prevent the Eye Detection AF from being able to detect and focus upon the nearest eye. And, like Face Detection, it’s designed to detect human eyes… it normally will not work with animals or other non-human subjects. Enable or disable continuous AF where the camera constantly tries to acquire focus, even without pressing the shutter. Turn this Off. Touch & Drag AF basically means that you can drag the desired autofocus point to anywhere on the screen. This is much faster than any other method to do this. You can select the active touch area: Whole panel, Right, Left, Top Right, Btm Right, Top Left, Btm Left. I have it set to the Bottom Left since this allows you to look through the EVF and change the focus point easily at the same time. Set to Enable, this allows a thumb drag across the rear LCD to quickly move the AF point while looking through the electronic viewfinder. 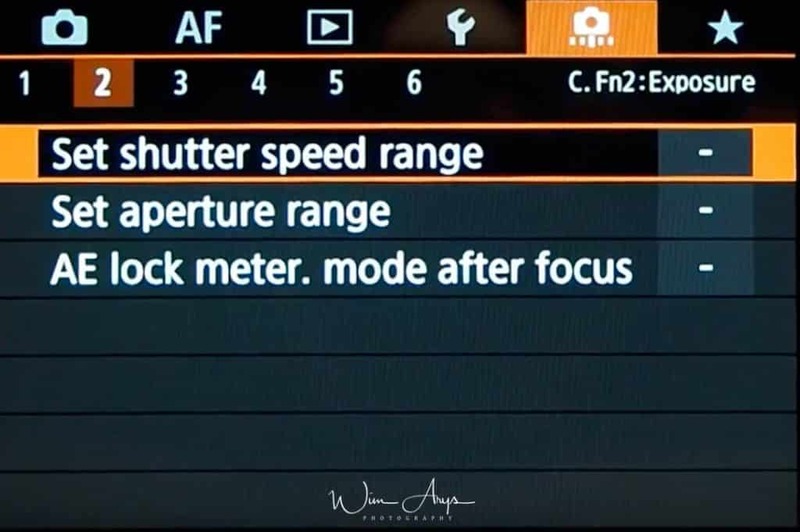 Disable after One-Shot AF/Enable after One-Shot AF: The latter allows you to fine-tune focus manually in AF mode whilst half-pressing the shutter button. This is a read beam that some flashes have which helps to acquire focus in situations with low light. Peaking is a focussing aide when the camera is set to manual focus. The in-focus area will have a type of coloured noise superimposed onto scene in the EVF or on the screen. This is of course not stored, it’s merely an aide that helps you determine where your focus lies and if your subject will be in focus. Very handy feature, I have it set to the Color red and Level High. You can record movies while recording sound with the built-in stereo microphone or an external stereo microphone. You can also freely adjust the sound-recording level. Auto: The sound-recording level is adjusted automatically. Auto level control will take effect automatically in response to the sound level. Manual: You can adjust the sound-recording level as needed. Select Rec. level and press the left/right keys while looking at the level meter to adjust the sound-recording level. Look at the peak hold indicator, and adjust so that the level meter sometimes lights up on the right of the –12 dB mark for the loudest sounds. If it exceeds “0", the sound will be distorted. Disable: Sound will not be recorded. Wind Filter: Set to Auto to reduce wind noise automatically when there is wind outdoors. Only activated when the camera’s built-in microphone is used. When the wind filter function takes effect, part of the low bass sounds will also be reduced. Attenuator: Automatically suppresses sound distortion caused by loud noises. Even if Sound rec. is set to Auto or Manual for recording, sound distortion may still result if there is a very loud sound. In this case, setting it to Enable is recommended. Normally, the camera’s built-in microphone records in stereo. If an external microphone equipped with a miniature stereo plug (3.5 mm diameter) is connected to the camera’s external microphone IN terminal, the external microphone will be given the priority. Using the Directional Stereo Microphone DM-E1 is recommended. By connecting commercially available headphones with a 3.5 mm mini plug to the headphone terminal, you can listen to the sound as movies are recorded. In-camera image stabilization electronically corrects camera shake during movie recording. This function is called “Movie digital IS". With Movie digital IS, images can be stabilized even when using a lens without Image Stabilizer. When using a lens with built-in optical Image Stabilizer, set the lens’s Image Stabilizer switch to ON. Disable: Image stabilization with Movie digital IS is disabled. Enable: Camera shake will be corrected. The image will be slightly magnified. Enhanced: (Not displayed for still photos shooting) Compared to when Enable is set, stronger camera shake can be corrected. The image will be more magnified. Even more effective correction is possible by recording movies with Movie digital IS and a Combination IS-compatible lens, which will combine optical and digital image stabilization by the lens and camera. With this function enabled, the camera focuses on the subject continuously during movie recording. You can choose whether to shoot movies that are brighter and less affected by image noise than when set to [Disable]by automatically slowing the shutter speed under low light. 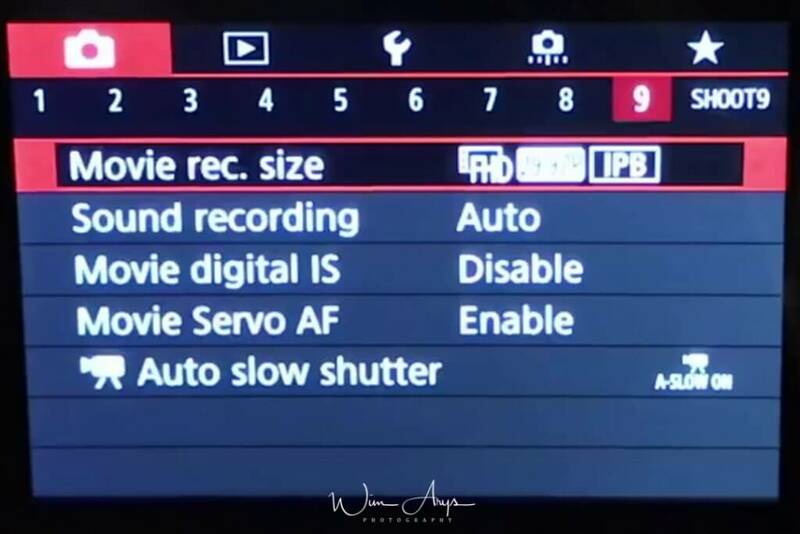 Disable: You can choose whether to shoot movies that are brighter and less affected by image noise than when set to Disable by automatically slowing the shutter speed under low light. Enable: Enables you to shoot brighter movies, less affected by image noise, than when set to Disable by automatically reducing the shutter speed to 1/30 sec. (NTSC) or 1/25 sec. (PAL) under low light. You can select how to protect and unprotect an image from deletion on the EOS 50D. Once an image is protected, it cannot be erased by the camera’s erase function. To erase a protected image, you must first cancel the protection. If you erase all the images, only the protected images will remain. This is convenient when you want to erase unnecessary images all at once. You can choose to Select images, Select range, All images in folder, unprotect all images in folder, All images on card or unprotect all images on card. Vertical images are rotated automatically so they are displayed vertically on the camera’s LCD monitor and personal computer instead of horizontally. The setting of this feature can be changed. Immediately after image capture, the vertical image will not be automatically rotated for the image review. If the vertical image is taken while the camera is pointed up or down, the image might not rotate automatically for playback. If the vertical image is not automatically rotated on the personal computer screen, it means the software you are using is unable to rotate the image. Select and erase images by selecting a range or All images in folder orAll images on card. This function is useful for ordering photobooks online and for printing photobooks on a printer. When you select images to use in photobooks (up to 998 images) and use EOS Utility (provided software) to transfer them to a computer, the selected images will be copied into a dedicated folder. This function is useful for ordering photobooks online and for printing photobooks on a printer. With the dedicated software Image Transfer Utility 2, you can send images on the camera to a computer automatically. You’ll need to setup the Wifi connection first. Being able to perform RAW image post-processing right after shooting on a camera is a function that comes in very handy. Image quality: write small, medium and large jpeg files in fine or standard resolution. Creative Assist provides customisable shooting presets and in-camera edit. An excellent aide for beginners, as you’ll see an outcome-orientated touchscreen system for adjusting parameters such as image brightness, contrast, saturation, color tone, monochrome and background blur. Toggle RAW processing inside the Quick control Menu on/off. Create an album for printing using a can printer or compatible printing service. Complementary to the other in-camera RAW processing feature, you can crop your image or multiple images here freely or according to preset dimensions. It’s also possible to resize your RAW images and save them in-camera for posting on social media for instance. You can add a star rating to your images here. This rating will show up later when you transfer the images to your computer if you use Canon’s Digital Photo Professional. You can setup and start an in-camera slideshow here. You’ll find lots of factors to choose here, I honestly don’t know why this was implemented and never use it. This setting selects how much of the jump your image library will tale when you turn the dial. You can select one by one, jump 10, jump by specified number, by date, by folder, display movies only, stills only, protected only or display by image rating. You can enable up to 9 individual screens – all except the first, which is the basic shooting info overlay, allow the histogram to be specified as brightness or RGB, and in some cases, both. Enable to avoid too many playback options. The Highlight Alert setting will show you where the overexposed areas in your images are located. The image preview will blink in areas that are completely white and have no detail. Set to Enable, it causes overexposed pixels to blink. 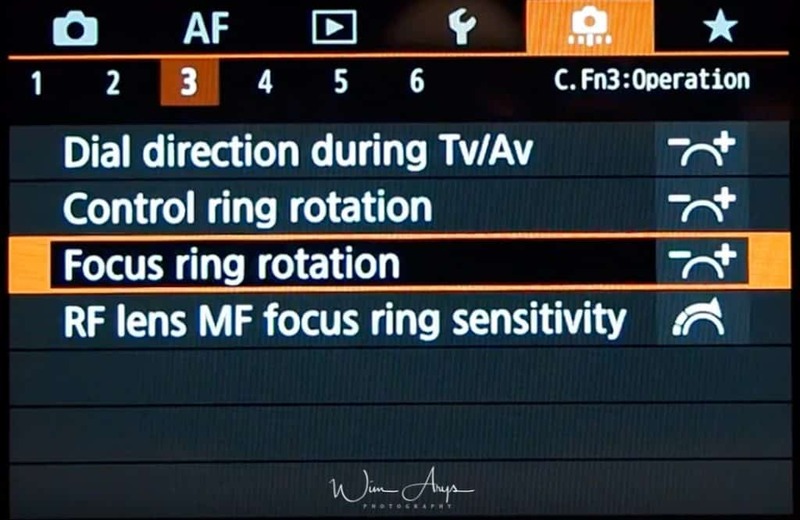 This setting either shows or hides the number of AF points on screen and in your EVF. Sets the number of images or previews in the grid when you select Playback. Set to 3×3, it helps with checking alignment. Either enable or disable the view from previous images in order to compare them. you can set the starting magnification and initial position for the magnified view. 1x (no magnification): The image will not be magnified. The magnified view will start with the single-image display. 2x, 4x, 8x, 10x (magnify from center): he magnified view will start at the image center at the selected magnification. Actual size (from selected point): The recorded image’s pixels will be displayed at approx. 100%. The magnified view will start at the AF point that achieved focus. If the photo was taken with manual focus, the magnified view will start at the image center. Same as last magnification (from center): The magnification will be the same as the last time you exited the magnified view. The magnified view starts from the image center. Set to “Actual size (from selected pt)”. It allows one button press during playback to zoom deeply into the image. You can select and/or create the folder on your SD card where files will be stored here. You can set the file numbering for each new shot to Continuous or Auto Reset/Manual Reset. Continuous will consecutively number your photos. 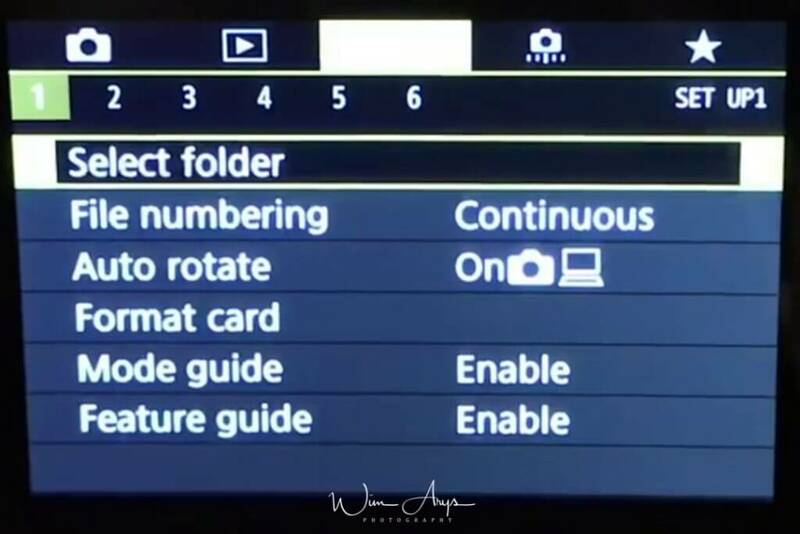 Auto reset will reset the numbering every time an SD card is inserted, and Manual reset will reset the numbering once. Auto rotate automatically rotates your images that are shot in portrait mode to fit the screen size. You can turn this on or off and decide whether this will behaviour will also apply to images imported to your PC using the canon software . You should format your SD card in-camera every time you insert an SD card when starting a new session. This to make sure that there won’t be any writing errors. Remember that formatting will erase all the images on the card, and won’t even be recoverable if you choose the low level format option. Enables a guide when you select the different shooting modes with the Mode Dial. 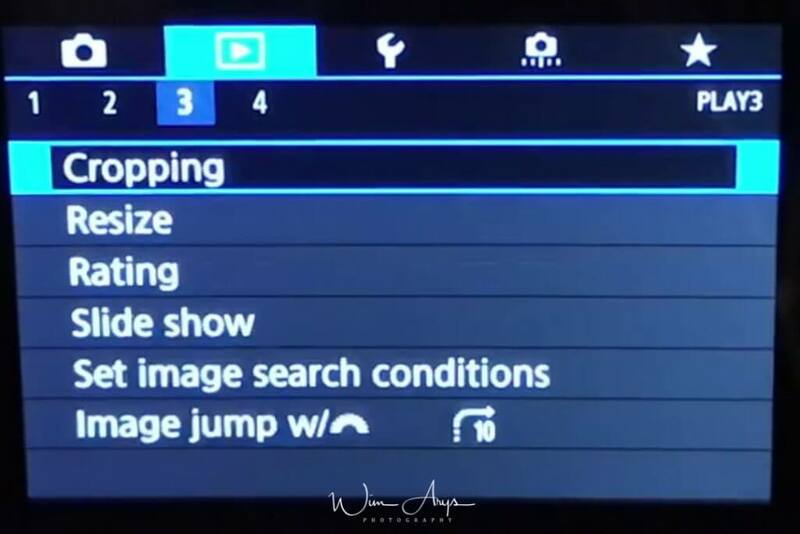 Enables an on screen guide with the most interesting feature of the Canon EOS RP. The power will shut off in the following circumstances. Press the power button again to restore power. Shooting Mode Powers down approximately 3 minutes after the last control is accessed on the camera. The LCD monitor automatically turns off 1 minute* after the last control is accessed even if [Auto Power Down] is set to [Off]. Press any button other than the power button to turn the LCD monitor back on. Playback Mode or connected to a Printer. Powers down approximately 5 minutes after the last control is accessed on the camera. Adjust the brightness of the display in 7 steps. Select your local time zone, a date and time for your camera. This information will be written in the EXIF data of your photos. Select your preferred language for the camera Menus. I choose English, as it is easiest to find information online in English. Select either NTSC or PAL depending on the region where you live. You can turn on or off the touch sensitive screen on the back of your Canon EOS RP. Standard/Sensitive/Disable. You can either enable or disable the beep when you engage the shutter as well as when you touch the screen. Set to disable as you don’t to hear you beeping camera setting changes or focus confirmation. Display the battery charge in the upper right corner. You should set this to Auto cleaning. This will send a charge through your sensor every time you turn it off, dislodging any dust particles that might be on the sensor. You should also make a habit of regularly cleaning the señor cage with a simple air blower. If you prefer to only periodically clean the sensor, you can use the ‘clean now’ function to immediately do this procedure. You can choose either Auto where the camera will decide automatically what type of device it’s connected too, 1080p or 4K. HDR output to compatible TV supported with a Micro – Type-D connector. If you won’t be using this function, turn It off. There are a few sub menus here, let’s see what they do. Screen info. settings: these settings give 5 different screen options. The first 3 allow you to configure the data overlaid on live view and save them as 3 separate screen types. You can turn on or off the basic shooting info (the data at top and bottom of screen), the detailed shooting info (the icons running down the left and right sides), whether the data acts as a touch button or not – if not, it loses the white frame and grey background – this applies to the Q menu button, the touch shoot button, the magnify button, the shutter speed, aperture, EV compensation scale and ISO value and “buttonizes" or “debuttonizes" them all at once; the histogram; the level gauge. 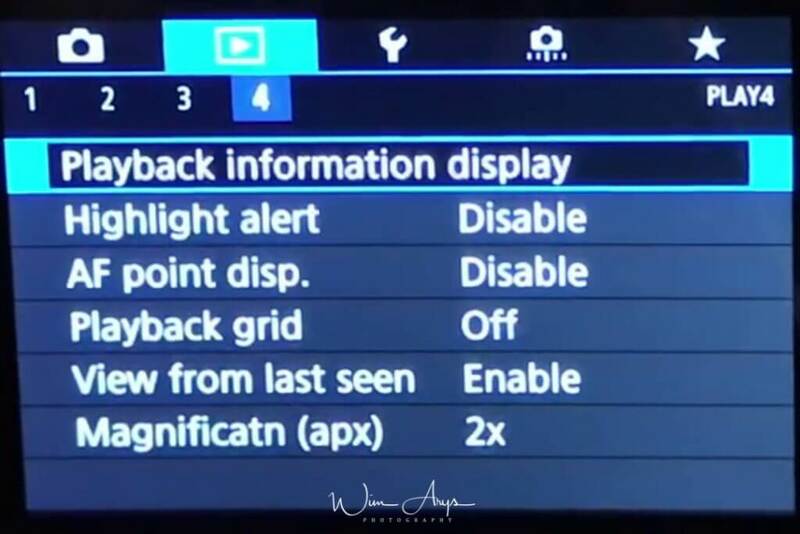 The fourth screen style is just the AF targets and the exposure info when it is active, and the last screen type is the black, non-live view DSLR-style info screen. These options are the ones you cycle through with the Info button when shooting with the camera – effectively this section allows you to customise them to taste. 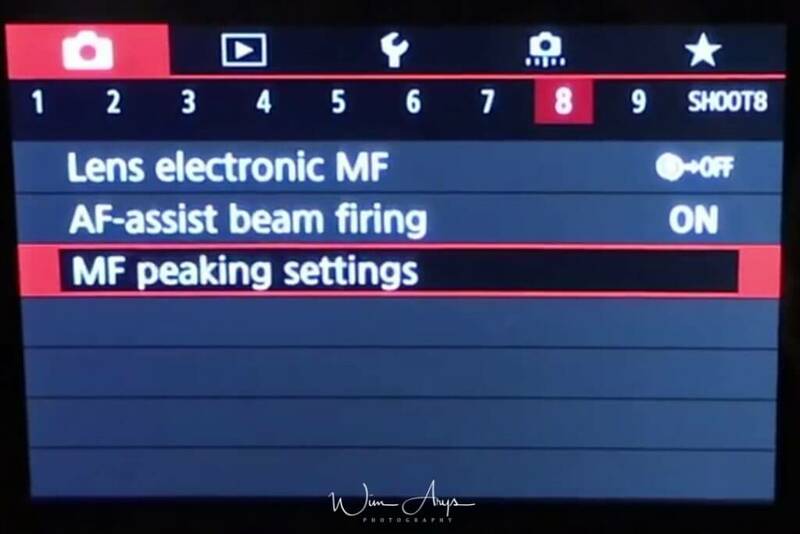 Still within this submenu we haveL VF info/toggle settings (3 different EVF choices – one with basic shooting info under the screen, the other two configurable to individually add and combine as desired the vertical detailed shooting info icons, histogram, level gauge]. Like the previous item, it’s a way of customising what you get when you cycle through the styles of VF display whilst shooting when you use the Info button to do so. Then the submenu has Grid display [Off, 3×3, 6×4, 3×3+diag], Histogram disp [Brightness/RGB, Large/Small], Reset. That’s the end of this submenu. Set to: Screen info. settings: Enable 1 (press Info, disable basic shooting info and enable Electronic level), 3 and 4. You can set this to Power-saving to conserve battery life, even though refresh rates will be a bit slower than with the Smooth setting. [Display 1] shows the Live View image across the entire viewfinder screen. 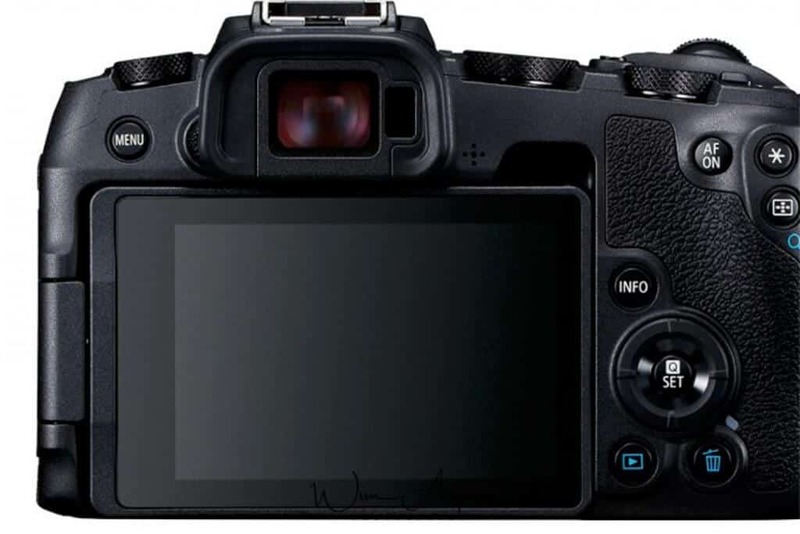 This allows you to fully maximize use of the EVF display, but shooting icons such as those indicating white balance settings and the Auto Lighting Optimizer will be overlaid on the sides of the viewfinder image. If you do not fancy that, you may prefer [Display 2], which features a smaller Live View image, with the shooting icons in the borders surrounding the image. The icons displayed are customisable to some extent, and rotate accordingly when you switch to portrait orientation. 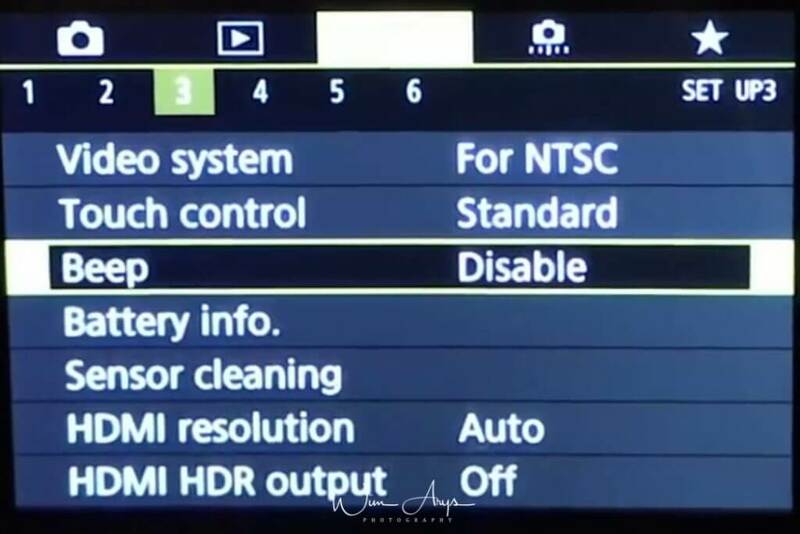 You can select whether to automatically switch from the back screen to the EVF if your eye is detected, or only use the back screen, or only use the EVF and turn the screen off. 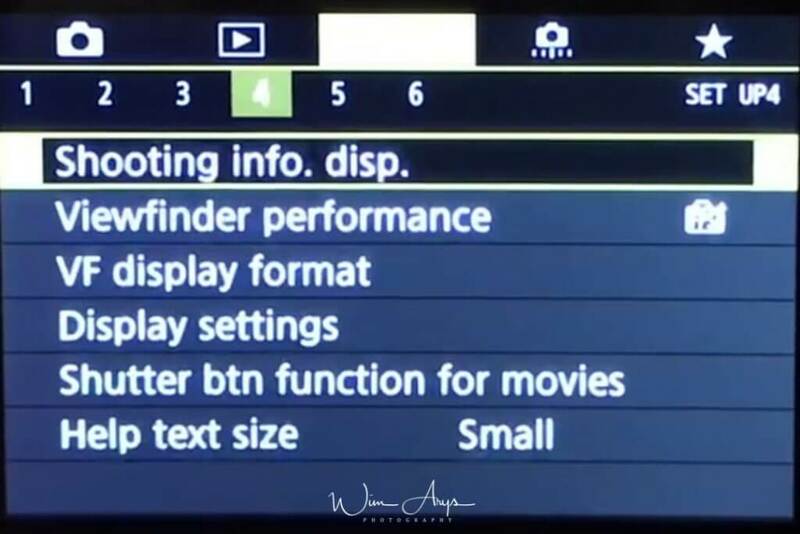 When the EOS RP is set to Movie mode, you can set the shutter button to start and stop movie recording instead of the Rec button. Choose the size of the help text that appears in the menu system. 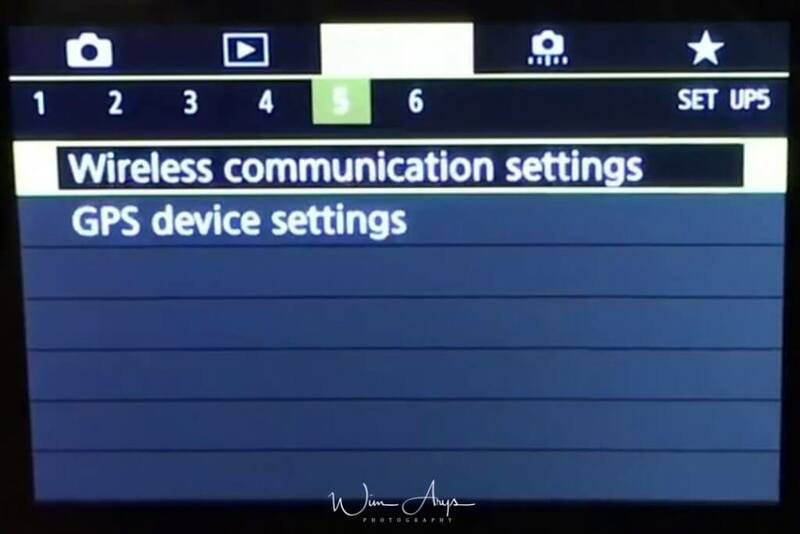 On the Wireless communication settings screen, you can change the wireless communication function settings. You can set whether to Enable or Disable the wireless communication function. Password: Set to None to allow a Wi-Fi connection to be established without a password (except when connecting to an access point via Wi-Fi). Connection history: You can set whether to Show or Hide the history of the Wi-Fi connected devices. Auto send images to computer: With the dedicated software Image Transfer Utility 2, you can send images on the camera to a computer automatically. Send to smartphone after shot: Your shots can be sent to a smartphone automatically. MAC address: You can check the MAC address of the camera. Bluetooth function: Displays the screen on which you can set or check the Bluetooth functions. Send images to smartphone: While the camera is connected to a smartphone, use this function to send images stored in the camera to the smartphone. Nickname: You can change the nickname using the virtual keyboard. Clear settings: Clear all wireless communication settings. When you’re shooting while connected to a compatible smart device via Bluetooth, EOS RP can collect GPS data and automatically add it to your images using the Canon Camera Connect app. It makes identifying locations easy and provides a useful editing feature for when you’re back home. 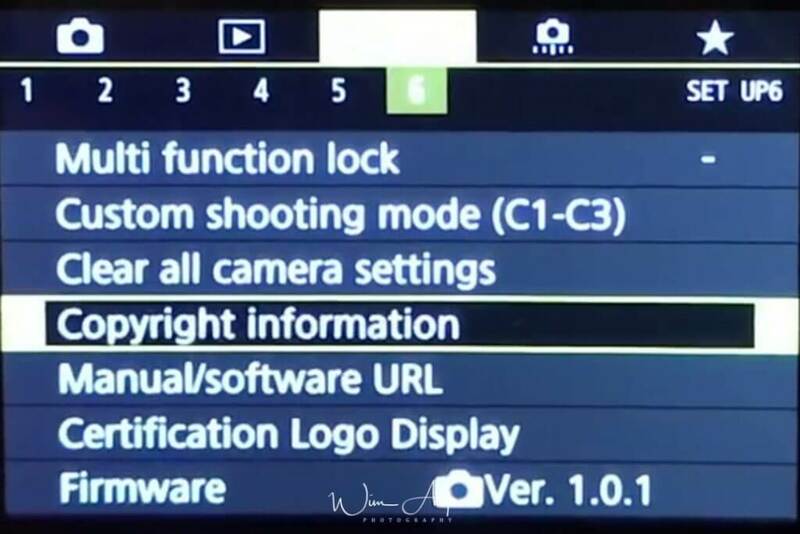 You can register current camera settings, such as the shooting mode, menu functions, and Custom Function settings, as Custom shooting modes under the Mode Dial’s C1, C2, and C3 positions. This is used to restore your camera settings to the factory default. Insert your own copyright information here. This will be written to every image you take. A direct URL to the Canon EOS RP manual. A bunch of certification logos. You officially have my permission to ignore this :). You can check the firmware revision number here. Sets 1/2-stop increments for the shutter speed, aperture, exposure compensation, AEB, flash exposure compensation, etc. This is effective when you prefer to control the exposure in less fine increments than 1/3-stop. 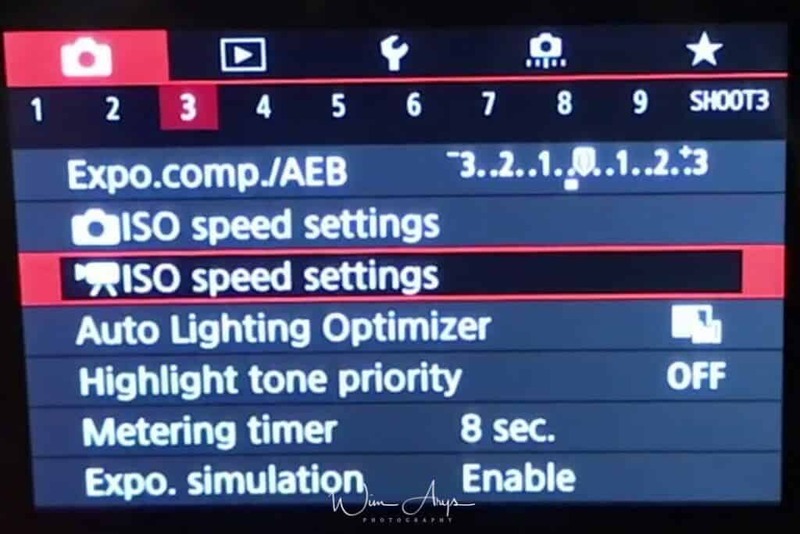 You can change the manual ISO speed setting increments to 1-stop or 1/3 stop. When you set the power switch to 2, the AEB and white balance bracketing settings will be canceled. AEB will also be canceled when the flash is ready to fire or if you switch to movie shooting. The AEB and white balance bracketing settings will not be canceled even if you set the power switch to <2>. (If the flash is ready to fire or if you switch to movie shooting, AEB will be canceled temporarily, but the AEB range will be retained. The AEB shooting sequence and white balance bracketing sequence can be changed from the starting point zero plus/minus 1. 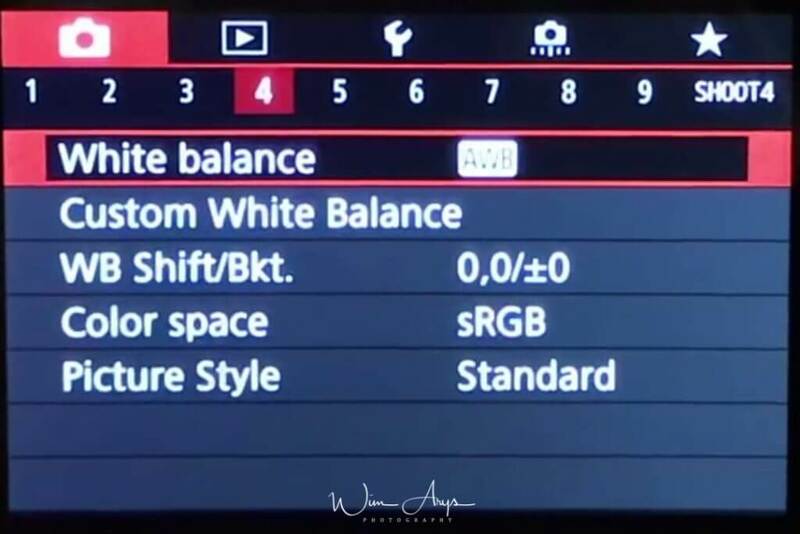 The number of shots taken with AEB and white balance bracketing can be changed from the default, 3 shots, to 2, 5, or 7 shots. Tv/Av: Shutter speed/Aperture. This takes effect in the shutter-priority AE (s) and aperture priority AE (f) modes. 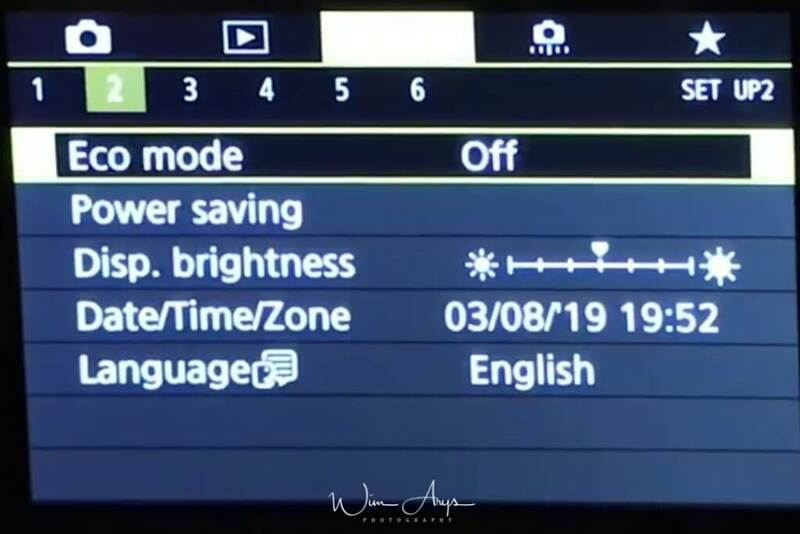 If the subject brightness changes and the standard exposure cannot be obtained within the autoexposure range, the camera will automatically change the manually-selected setting to obtain a standard exposure. ISO: ISO speed. This works in the Program AE (d), shutter-priority AE (s), and aperture-priority AE (f) modes. 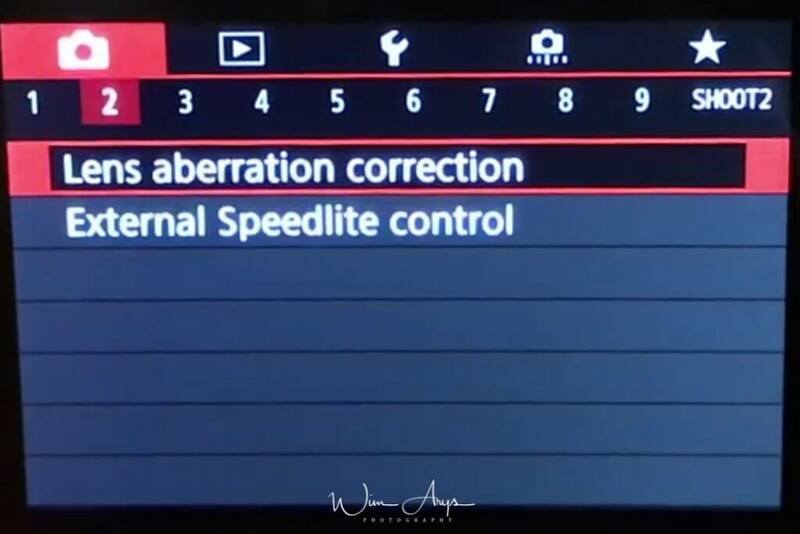 If the subject brightness changes and the standard exposure cannot be obtained within the autoexposure range, the camera will automatically change the manually set ISO speed to obtain a standard exposure. 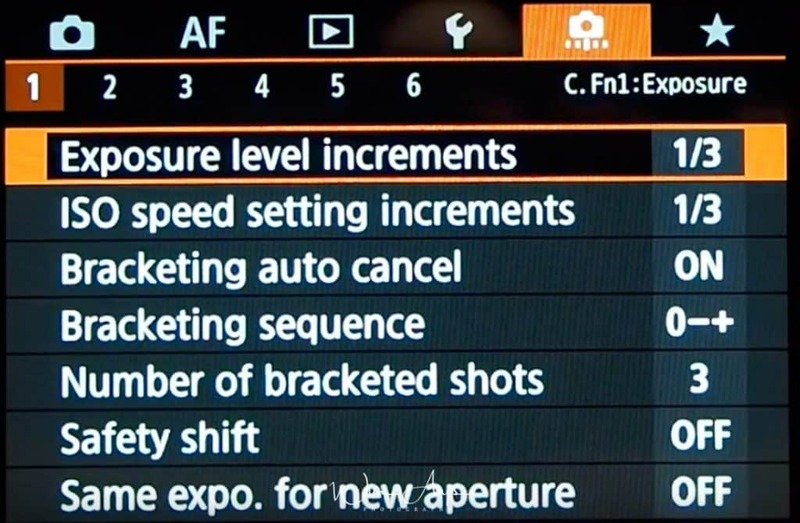 If the <a> mode (manual exposure shooting) is set and the ISO speed is set manually (other than Auto ISO or H (12800) is set), the maximum aperture’s f/number may change to a higher number (smaller aperture) if you do any of the following: 1. Change the lens, 2. Attach or detach an Extender, or 3. Use a zoom lens whose maximum aperture f/number changes. 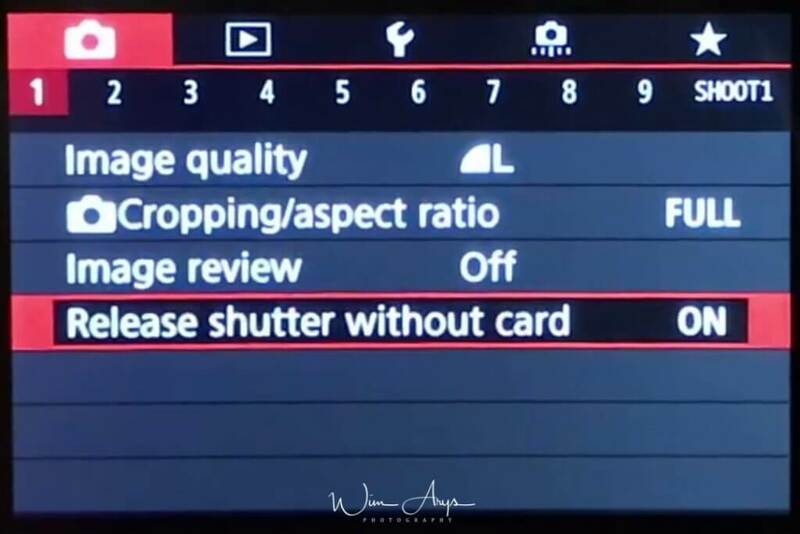 If you then shoot at the exposure setting as is, the image will be underexposed by the amount the maximum aperture f/number changes to a higher number. 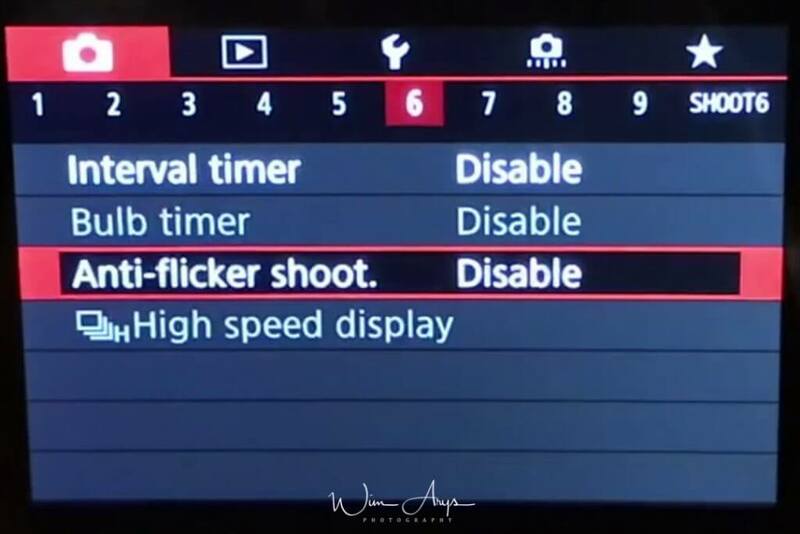 However, by changing the ISO speed or shutter speed (Tv) automatically, you can obtain the same exposure that would be obtained before you did 1, 2, or 3. Automatic changes in settings to maintain the specified exposure will not be applied. The ISO speed, shutter speed, and aperture already set will be used for shooting. If you do 1, 2, or 3 and the maximum aperture f/number increases, adjust the ISO speed and shutter speed before you shoot. If you do 1, 2, or 3, the ISO speed will automatically increase to compensate for the amount that the maximum aperture f/number increases by. The same exposure that would be obtained before you did 1, 2, or 3 is thereby obtained. If you do 1, 2, or 3, a slower shutter speed will automatically be set to compensate for the amount that the maximum aperture f/number increases by. The same exposure that would be obtained before you did 1, 2, or 3 is thereby obtained. You can set the shutter speed range. In the <s> <a> modes, you can set the shutter speed manually within the shutter speed range that you have set. In the <d> <f> modes, the shutter speed will be set automatically within the shutter speed range that you have set. Highest speed: You can set it from 1/8000 sec. to 15 sec. You can set the aperture range. In the <f> <a> <F> modes, you can set the aperture manually within the aperture range that you have set. In the <d> <s> modes, the aperture will be set automatically within the aperture range that you have set. Min. aperture (Max. f/): You can set it from f/91 to f/1.4. Max. aperture (Min. f/): You can set it from f/1.0 to f/64. If you check “spot” metering for AE locked after focus, then I can lock the exposure when the shutter button is pressed halfway to focus. Then you can recompose the image using AE (perhaps evaluative) and Auto ISO. The new compostion will now register new AE and Auto ISO. Dial turning direction when setting the shutter speed and aperture can be reversed. The control ring rotation function can also be reversed here. Yes, the same goes for the lens focus ring, this can be reversed. When using Canon RF lenses, you can control the sensitivity of the focus ring. Within the Customize buttons category, the EOS RP lets users change the function of 14 different camera controls for still-image shooting; if the camera is set to a video recording mode, that drops to 12 different buttons. A few general points here, before we dive into the details. 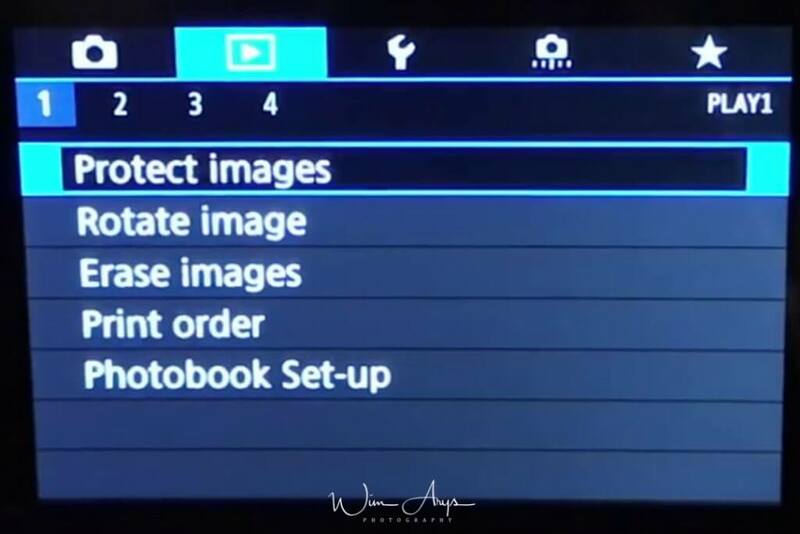 First, while the number of potential changes users can apply to most of the buttons are much more extensive than we’ve seen on previous Canon EOS DSLRs, each control has a specific, factory-set list of possible functions you can apply. And, these do vary in some cases, from one control to another. For instance, there are 25 possible choices to modify the rear AF point select button when you shoot still images, but 41 for the adjacent AE Lock button. Furthermore, it’s not possible (as of late 2018) to add or delete items from the factory-set customization list for each control — if a feature isn’t listed on the menu for customizing a particular button, it can’t be added to that button’s capabilities. Even with this, the list of possible changes is far more extensive than we’ve seen in previous Canon EOS DSLRs. To take just one example, the AF-ON button on the top-of-the-line EOS-1D X Mark II digital SLR camera gives the user 9 possible ways to customize it; the same AF-ON button on the EOS RP provides 41 possible choices. And, in a video shooting mode, the possible functions you can apply to a particular button sometimes change from what’s available in a still-image shooting mode. This is absolutely normal, and not a sign of any malfunction. It is possible to capture a full frame but add in crop marks for various aspect ratios such as 6:6 or 4:5. In the DPP software this makes it very much quicker to achieve an image in the aspect ratio you require for your end usage. If you plan to make use of the cropping information setting in the Custom Functions, first ensure that the crop/aspect ratio setting in the red ‘Shoot4’ is set to FULL. If it is set to anything else, you will be unable to add cropping information through the custom function menu. You can specify which options will be your default when erasing images. This way, you don’t have to go through the default process when selecting images for erasing. You’ll be able to engage the shutter without the Canon EOS RP detecting a lens. This is a handy option if you’re using third party manual lenses without electronic contacts. When using these lenses, the camera is unaware of the fact that a lens is connected, and the shutter would otherwise not work. If a powered zoom lens is attached to the EOS RP, setting this function to ON would cause the lens to retract when the camera is powered off.